Researchers at the Department of Energy’s Lawrence Berkeley National Laboratory (Berkeley Lab) and UC Berkeley have created a sort of nanoscale display case that enables new atomic-scale views of hard-to-study chemical and biological samples. Their work, published online Aug. 18 in the journal Science, could help to reveal new structural details for a range of challenging molecules—including complex chemical compounds and potentially new drugs—by stabilizing them inside sturdy structures known as metal-organic frameworks (MOFs). The researchers introduced a series of different molecules that were chemically bound inside these porous MOFs, each measuring about 100 millionths of a meter across, and then used X-ray techniques to determine the precise molecular structure of the samples inside the MOFs. The samples ranged from a simple alcohol to a complex plant hormone, and the new method, dubbed “CAL” for covalent alignment (the molecules form a type of chemical bond known as a covalent bond in the MOFs), enables researchers to determine the complete structure of a molecule from a single MOF crystal that contains the sample molecules in its pores. The MOFs in the study, which are identical and are easy to manufacture in large numbers, provided a sort of backbone for the sample molecules that held them still for the X-ray studies—the molecules otherwise can be wobbly and difficult to stabilize. The researchers prepared the samples by dipping the MOFs into solutions containing different molecular mixes and then heating them until they crystallized. “We wanted to demonstrate that any of these molecules, no matter how complex, can be incorporated and their structure determined inside the MOFs,” said Omar Yaghi, a materials scientist at Berkeley Lab and chemistry professor at UC Berkeley who led the research. The MOFs also possess a particular handedness known as “chirality”—like a left-handed person vs. a right-handed person—that selectively binds with molecular samples that also possess this handedness. The difference in a molecule’s handedness is particularly important for pharmaceuticals, as it can mean the difference between a medicine and a poison. “This is one of the holy grails: how to crystallize complex molecules, and to determine their chirality,” Yaghi said. Seungkyu Lee and Eugene A. Kapustin, Berkeley Lab researchers and UC Berkeley graduate students who participated in the latest work, said hard-to-study proteins, such as those important for drug development, are high-priority targets for the new technique. One of the best methods for studying any molecule’s 3-D structure in atomic detail is to form it into a crystal. Then, researchers point intense X-ray light at the crystal, which produces a pattern of spots—like light off of a disco ball. Such patterns serve as a fingerprint for fully mapping the molecule’s 3-D structure. Some molecules are difficult to form into crystals, though, and the process of crystallizing a single molecule can in some cases involve years of effort and expense. Different types of MOFs, with different pore sizes, could be tested to find out which ones work best with different types of samples, Lee said. Importantly, the MOFs in the latest study did not appear to distort the natural, intact structure of the molecules. Researchers say it’s possible to determine the complete 3-D structure of a molecule even if the samples only fill about 30 percent of a MOF’s pores. Researchers determined the atomic structure of the MOFs and the bound molecules with X-rays at Berkeley Lab’s Advanced Light Source (ALS), and they also studied the MOFs using a technique called nuclear magnetic resonance (NMR) at Berkeley Lab’s Molecular Foundry. In all, the researchers studied 16 different molecules bound inside the MOF pores, including a plant hormone called jasmonic acid whose chiral structure had never been directly determined before, other plant hormones known as gibberellins, methanol, and other acids and alcohols. The metals in the MOF framework itself can actually serve to enhance the quality of the X-ray images, Kapustin said, adding that in one case the technique allowed researchers to distinguish between two nearly identical plant hormones based on the difference in a single atomic bond. This work was supported by BASF SE in Germany and the King Abdulaziz City for Science and Technology Center of Excellence for Nanomaterials and Clean Energy Applications. The Advanced Light Source and Molecular Foundry are both DOE Office of Science User Facilities. For more information about Omar Yaghi’s research, visit http://yaghi.berkeley.edu/. Scientists have revealed for the first time the molecular steps that turn on bacteria’s pathogenic genes. Using an array of high-powered X-ray imaging techniques, the researchers at the Department of Energy’s Lawrence Berkeley National Laboratory (Berkeley Lab) showed that histone-like proteins that bind to DNA are related to the physical twisting of the genetic strand, and that the supercoiling of the chromosome can trigger the expression of genes that make a microbe invasive. The study, published Friday, July 29, in the journal Science Advances, could open up new avenues in the development of drugs to prevent or treat bacterial infection, the study authors said. The researchers looked at how the long strands of DNA are wound tight, a necessity if they are to fit into compact spaces. For eukaryotes, the strands wrap around histone proteins to fit inside a nucleus. For single-celled prokaryotes, which include bacteria, HU proteins serve as the histones, and the chromosomes bunch up in the nucleoid, which lacks a membrane. When the normal twists and turns of DNA compaction turn into supercoiling, trouble can begin. Elucidating these molecular mechanisms entailed imaging HU proteins at different resolutions and stages using two beamlines at Berkeley Lab’s Advanced Light Source [ALS], a DOE Office of Science User Facility. 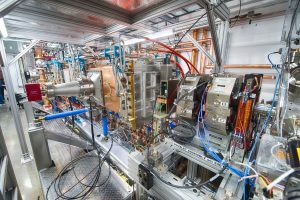 The Structurally Integrated Biology for Life Sciences (SIBYLS) beamline, directed by senior scientist John Tainer, combines X-ray crystallography and small angle X-ray scattering (SAXS) capabilities. The crystallography provided atomic-level details of how the HU proteins interacted with the bacterial DNA, while SAXS was able to show how the HU proteins assembled and affected the longer strands of DNA in a solution. To get a clear sense of how that twisting and packing manifests at the cellular level, Hammel teamed up with Berkeley Lab faculty scientist Carolyn Larabell, director of the National Center for X-ray Tomography (NCXT), which is also based at the Advanced Light Source. Larabell calculated that the genetic material in the pathogenicE. coli is so tightly packed that it consumes less than one-half the volume compared with its non-mutant counterpart. Before this paper, it had been believed that the enzyme topoisomerase was the primary driver of DNA coiling in bacteria. This new study shows that, independent of topoisomerase, changing the assembly of HU proteins was enough to induce changes in DNA coiling at different stages of bacterial growth. The study results also beg the question: If pathogenicity can be switched on, could it also be switched off? Other study co-authors include researchers from the National Cancer Institute’s Center for Cancer Research and the University of Texas. The National Institutes of Health and the DOE Office of Science supported this research. These new measurements were carried out by the Baryon Oscillation Spectroscopic Survey (BOSS) program of the Sloan Digital Sky Survey-III. Shaped by a continuous tug-of-war between dark matter and dark energy, the map revealed by BOSS allows scientists to measure the expansion rate of the Universe and thus determine the amount of matter and dark energy that make up the present-day Universe. A collection of papers describing these results was submitted this week to the Monthly Notices of the Royal Astronomical Society. BOSS measures the expansion rate of the Universe by determining the size of the baryonic acoustic oscillations (BAO) in the three-dimensional distribution of galaxies. The original BAO size is determined by pressure waves that travelled through the young Universe up to when it was only 400,000 years old (the Universe is presently 13.8 billion years old), at which point they became frozen in the matter distribution of the Universe. The end result is that galaxies have a slight preference to be separated by a characteristic distance that astronomers call the acoustic scale. The size of the acoustic scale at 13.4 billion years ago has been exquisitely determined from observations of the cosmic microwave background from the light emitted when the pressure waves became frozen. Measuring the distribution of galaxies since that time allows astronomers to measure how dark matter and dark energy have competed to govern the rate of expansion of the Universe. The Sloan Digital Sky Survey and its Baryon Oscillation Spectroscopic Survey has transformed a two-dimensional image of the sky (left panel) into a three-dimensional map spanning distances of billions of light years, shown here from two perspectives (middle and right panels). 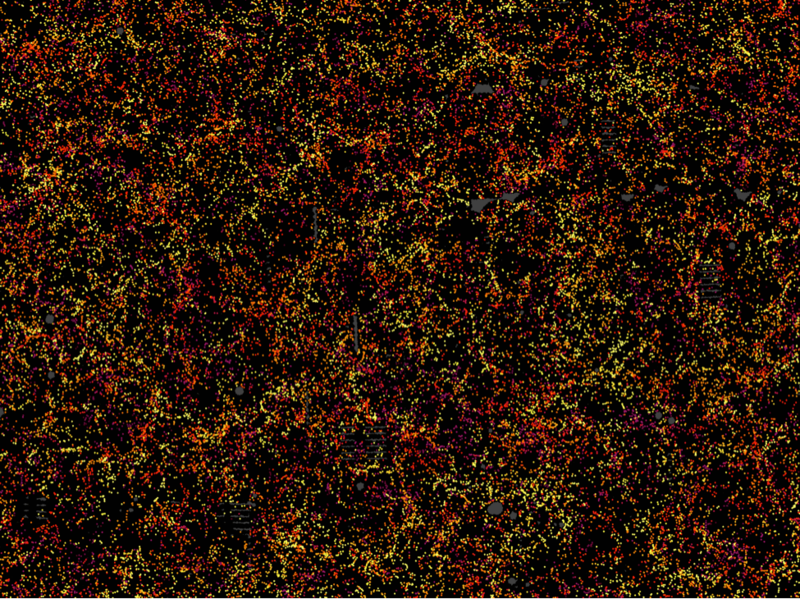 This map includes 120,000 galaxies over 10% of the survey area. The brighter regions correspond to the regions of the Universe with more galaxies and therefore more dark matter. Image credit: Jeremy Tinker and SDSS-III. To measure the size of these ancient giant waves to such sharp precision, BOSS had to make an unprecedented and ambitious galaxy map, many times larger than previous surveys. At the time the BOSS program was planned, dark energy had been previously determined to significantly influence the expansion of the Universe starting about 5 billion years ago. BOSS was thus designed to measure the BAO feature from before this point (7 billion years ago) out to near the present day (2 billion years ago). The map also reveals the distinctive signature of the coherent movement of galaxies toward regions of the Universe with more matter, due to the attractive force of gravity. Crucially, the observed amount of infall is explained well by the predictions of general relativity. Funding for SDSS-III has been provided by the Alfred P. Sloan Foundation, the Participating Institutions, the National Science Foundation, and the U.S. Department of Energy Office of Science. For more on SDSS-III, visit http://www.sdss3.org/. To read the SDSS news release, go here. According to the Food and Nutrition Board of the Institute of Medicine, an adult’s estimated average dietary requirement for copper is about 700 micrograms per day. The Food and Nutrition Board also found that only 25 percent of the U.S. population gets enough copper daily. In March, the Fermilab Accelerator Division successfully sent beam through a newly commissioned linear accelerator. The brand new radio-frequency quadrupole (RFQ) linac, designed and built by a team of engineers and physicists at Lawrence Berkeley National Laboratory, will be the start for a proposed upgrade to Fermilab’s 800-MeV superconducting linear accelerator. 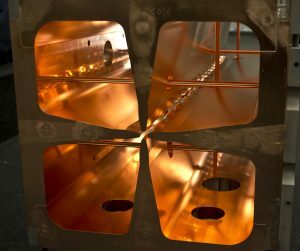 The new, front-end accelerator is one of several upgrade projects conducted under PIP-II, a plan to overhaul the Fermilab accelerator complex to produce high-intensity proton beams for the lab’s multiple experiments. PIP-II is supported by the DOE Office of Science. Currently located at the Cryomodule Test Facility, approximately 1.5 miles northeast of Wilson Hall, the RFQ took first beam – 100-microsecond pulses at 10 hertz – during its first testing phase. Since its first run in March, the team has been working on various commissioning activities, including running the pulsed beam through the RFQ and its transport lines. These activities are expected to continue until June. The goal of these tests is to provide intense, focused beams to the entire accelerator complex. The lab’s current RFQ, which sits at the beginning of the laboratory’s accelerator chain, accelerates a negative hydrogen ion beam to 0.75 million electronvolts, or MeV. The new RFQ, which is longer, accelerates a beam to 2.1 MeV, nearly three times the energy. Transported beam current, and therefore power, is the key improvement with the new RFQ. The current RFQ delivers 54-watt beam power; the new RFQ delivers beam at 21 kilowatts – an increase by a factor of nearly 400. RFQs are widely used for accelerating low-energy ion beams, and the energy of the beams they produce typically caps off at about 5 MeV, said Paul Derwent, PIP-II Department head. These low energy protons will then undergo further acceleration by other components of Fermi’s accelerator complex, some to 8 GeV and others to 120 GeV. The new RFQ is 4.5 meters long and made of four parallel copper vanes, as opposed to four rods used on the current RFQ. As viewed from one end, the vanes form a symmetrical cross. At the center of the cross is a tiny aperture, or tunnel through which the beam travels. If you were to remove one vane and peer inside the RFQ from the side, you would see an intricate pattern of peaks and valleys, similar to a waveform, along the inner edge of each vane. Like puzzle pieces, the vanes fit together to form the small tunnel with the rippling walls of that inner waveform shape. The farther down the tunnel you go, and therefore the higher the beam energy, the longer the spacing of the peaks and valleys. This means that the time the beam needs to go from peak to valley and back remains constant, necessary for proper acceleration. Jim Steimel, the electrical engineering coordinator for PIP-II and a Fermilab liaison for Berkeley’s RFQ development team, said this shape is a special trait in RFQs; one that creates an electromagnetic quadrupole field that focuses low-velocity particles. The Berkeley team successfully designed the accelerator to bring beams to a higher intensity than Fermilab’s previous RFQ technology could achieve – energy that matches PIP-II’s front-end requirements. “Our challenge was to come up with a design that uses minimum radio-frequency power and delivers the required beam quality and intensity, and to engineer a mechanical design that can withstand continuous operation at high average power,” Li said. Li’s team took into account potential problems that may occur at a power of 100 kilowatts or more, which was needed to maintain the electromagnetic quadrupole field inside the RFQ. For example, at higher powers temperatures can rapidly increase, causing thermal stress on the RFQ components. Large water flow rates and durable materials are needed to withstand heat and prevent deformations, which is a significant mechanical engineering feat. Now that the Berkeley and Fermilab teams demonstrated that the RFQ can generate intense beams in pulses, the next step will be to create a continuous high-intensity beam for PIP-II. The team expects to achieve a continuous beam in the summer. Billions of gallons of water are used each day in the United States for energy production—for hydroelectric power generation, thermoelectric plant cooling, and countless other industrial processes, including oil and gas mining. And huge amounts of energy are required to pump, treat, heat, and deliver water. This interdependence of water and energy is the focus of a major new research effort at the Department of Energy’s Lawrence Berkeley National Laboratory (Berkeley Lab). With the twin challenges of population growth and climate change adding to the resource pressures, Berkeley Lab’s Water Resilience Initiative aims to use science and technology to optimize coupled water-energy systems and guide investments in such systems. The Initiative has three main goals: hydroclimate and ecosystem predictions, revolutionary concepts for efficient and sustainable groundwater systems, and science and technology breakthroughs in desalination. The goals can be viewed as analogous to energy distribution, storage, and generation, says Susan Hubbard, Berkeley Lab’s Associate Lab Director for Earth and Environmental Sciences. The climate, ultimately, is the source of all water, and in places like California, where the snow pack plays an important role, climate change will have a big impact on how much water there will be and when it will come. 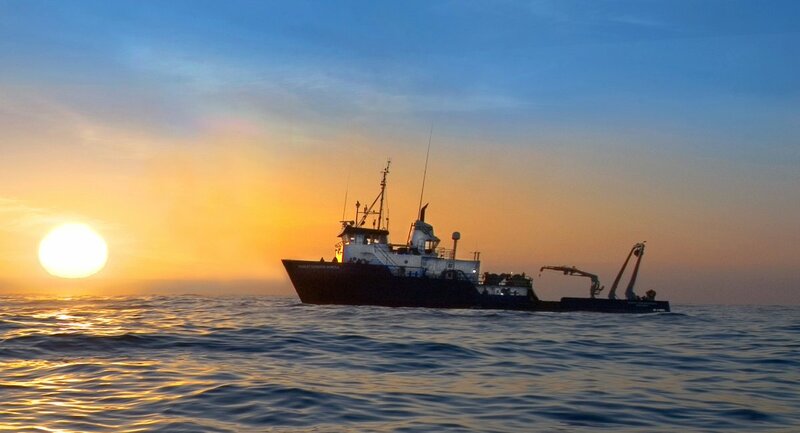 The goal of the climate focus of the Initiative, led by Berkeley Lab climate scientist Andrew Jones, is to develop approaches to predict hydroclimate at scales that can be used to guide water-energy strategies. Ten years ago, Berkeley Lab scientists helped develop global climate models with a resolution of 200 kilometers. By 2012, the most advanced models had 25 km resolution. Now a project is underway to develop a regional climate model of the San Francisco Bay Area with resolution of 1 km, or the neighborhood level. The eventual goal is to transfer this model for use in other urban areas to be able to predict extreme precipitation events as well as drought and flood risk. For example, Berkeley Lab scientists have expertise in using geophysical imaging, which allows them to “see” underground without drilling a well. “We have very sophisticated hydrologic and geochemical computer codes we think we can couple with imaging to predict where water will go and how its chemistry may change through storage or retrieval,” he said. They have a new project with the Almond Board of California to determine the ability to recharge over-drafted groundwater aquifers in the San Joaquin Valley by applying peak flood flows to active orchards, known as “water banking.” The project is part of the Almond Board’s larger Accelerated Innovation Management (AIM) program, which includes an emphasis on creating sustainable water resources. Berkeley Lab scientists will work with existing partners, Sustainable Conservation and UC Davis, who are currently conducting field trials and experiments, and contribute their expertise on the deeper subsurface, below the root zone of the almond trees, to determine what happens to banked water as it moves through the subsurface. Another project, led by Berkeley Lab researcher Larry Dale, is developing a model of the energy use and cost of groundwater pumping statewide in order to improve the reliability of California’s electric and water systems, especially in cases of drought and increase in electricity demand. The project has been awarded a $625,000 grant by the California Energy Commission. To reach this goal, Kostecki and other Berkeley Lab researchers are working on several different approaches for more efficient desalination. Some are new twists on existing technologies—such as forward osmosis using heat from geothermal sources, graphene-based membranes, and capacitive deionization—while others are forging entirely new paradigms, such as using the quantum effects in nanoconfined spaces and new nano-engineered materials architectures. “The reality is that if one is shooting for a 5X reduction in the cost of desalination of water, then this requires a completely new way of thinking, new science, new technology—this is what we are shooting for,” said Ramamoorthy Ramesh, Associate Lab Director for Energy Technologies. Some of these projects are part of the U.S./China Clean Energy Research Center for Water Energy Technologies (CERC-WET), a new $64-million collaboration between China and the United States to tackle water conservation in energy production and use. It is a cross-California collaboration led on the U.S. side by Berkeley Lab researcher Ashok Gadgil and funded primarily by the Department of Energy. The Department of Energy’s Lawrence Berkeley National Laboratory (Berkeley Lab) will participate in a new National Microbiome Initiative launched today by the White House Office of Science and Technology Policy. The initiative, announced at an event in Washington, D.C., will advance the understanding of microbiome behavior and enable the protection of healthy microbiomes, which are communities of microorganisms that live on and in people, plants, soil, oceans, and the atmosphere. Microbiomes maintain the healthy function of diverse ecosystems, and they influence human health, climate change, and food security. The National Microbiome Initiative brings together scientists from more than 100 universities, companies, research institutions, and federal agencies. The goal is to investigate fundamental principles that govern microbiomes across ecosystems, and develop new tools to study microbiomes. Berkeley Lab is well positioned to contribute to the national effort thanks to Microbes to Biomes, a Lab-wide initiative designed to understand, predict, and harness critical microbiomes for energy, food, environment, and health. The initiative involves scientists across Berkeley Lab in biology, environmental sciences, genomics, systems biology, computation, advanced imaging, material sciences, and engineering. “It’s exciting to see this coordinated National Microbiome Initiative launched. It is very much in line with our interdisciplinary vision for Microbes-to-Biomes and our goals of building a functional understanding of Earth’s microbiomes,” says Eoin Brodie, deputy director of Berkeley Lab’s Climate and Ecosystem Sciences Division. In addition, Brodie is the corresponding author of an editorial published* today in the journal mBio that calls for a predictive understanding of Earth’s microbiomes to address some the most significant challenges of the 21st century. These challenges include maintaining our food, energy, and water supplies while improving the health of our population and Earth’s ecosystems. Trent Northen, director of Berkeley Lab’s Environmental Genomics and Systems Biology Division, and Mary Maxon, Biosciences Area principal deputy, are co-authors of the editorial. Berkeley Lab’s Microbes to Biomes initiative is designed to reveal, decode and harness microbes. Microbes to Biomes brings together teams of Berkeley Lab scientists to discover causal mechanisms governing microbiomes and accurately predict responses. The goal is to harness beneficial microbiomes in natural and managed environments for a range of applications, including terrestrial carbon sequestration, sustainable growth of bioenergy and food crops, and environmental remediation. The initiative, which aims to bridge the gap from microbe-scale to biome-scale science, takes advantage of Berkeley Lab’s capabilities, ranging from biology, environmental sciences, genomics, systems biology, computation, advanced imaging, materials sciences, and engineering. Berkeley Lab scientists are developing new approaches to monitor, simulate, and manipulate microbe-through-biome interactions and feedbacks. 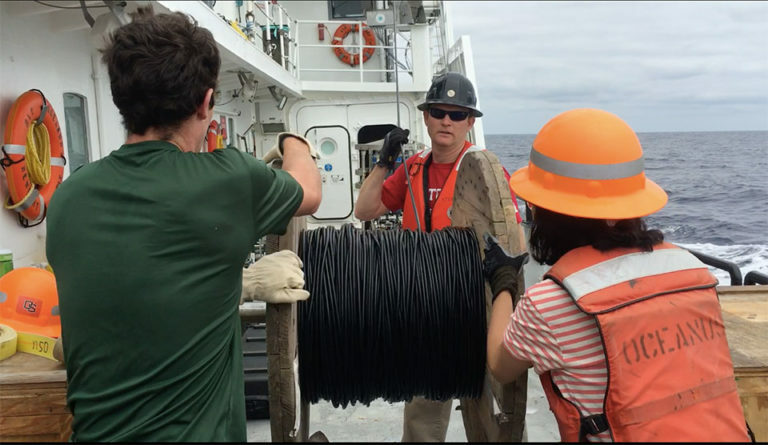 They’re also creating controlled laboratory “ecosystems,” which will ultimately be virtually linked to ecosystem field observatories. The initial goal is to build a mechanistic and predictive understanding of the soil-microbe-plant biome. The mBio paper makes the case that given the extensive influence of microorganisms across our biosphere—they’ve shaped our planet and its inhabitants for over 3.5 billion years—and new scientific capabilities, the time is ripe for a cross-disciplinary effort to understand, predict, and harness microbiome function to help address the big challenges of today. This effort could draw on rapidly improving advances in gene function testing as well as precision manipulation of genes, communities, and model ecosystems. Recently developed analytical and simulation approaches could also be utilized. The goal is to improve prediction of ecosystem response and enable the development of new, responsible, microbiome-based solutions to significant energy, health, and environmental problems. The mBio editorial was authored by eleven scientists from several institutions. The Berkeley Lab co-authors were supported by the Department of Energy’s Office of Science.